I have never been a big fan of baseball. In middle school, I spent one summer playing fastball. I was deathly afraid of getting hit by the ball. An outing to a major or minor league game is more about food, beer, and shooting the bull with my friends. The game is too slow for me, but there are many similarities between baseball and building your catering profit center. Catering, like baseball, is all about scoring (making the sale). Most business owners are always looking for that one magic bullet. What is the homerun idea to bring in a flood of new catering sales? Though I have developed many catering niche ideas to get you a high ROI (like targeting your Top 100), the fact is you will never build a real catering profit center by swinging for the catering ballpark fences. You goal should be to consistently, day in and day out, hit consistent singles and doubles. You want to minimize your strike outs. There aren’t too many homerun super stars in the catering game. In baseball, a player who bats 300 only hits thirty percent of the time. That means they fail seventy percent of the time. I think you can do better than that in building your catering sales. Don’t step up to the catering sales plate only looking for homeruns. The road to catering success lies in developing a series of singles, or small improvements, to get you crossing home plate for the points. 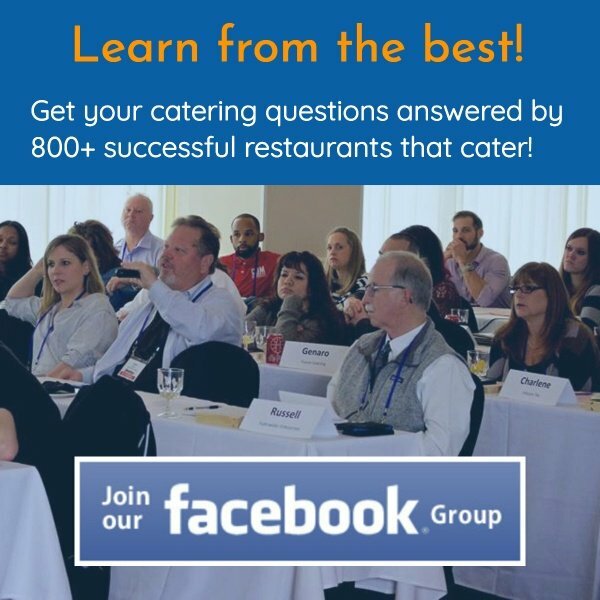 There are many areas you can analyze and improve: Are you maximizing your catering upsells? Are you monitoring your team’s calls to coach them to better sales? Have you developed per person catering packages to simplify the ordering process for your catering clients and your team? Are you nurturing your catering leads often enough to make it to “top of mind” status should their current caterer falter? We use a telemarketer to call restaurants that cater. Their goal is to identify the restaurant owner or manager and send them an email to get a free copy of my book Cater or Die! Once they opt in to get the book, my Business Development Manager, Nicole, puts them through a Sales Tempo of calling and emailing to get a consult set up with them..
We are constantly analyzing and adjusting each touch point to maximize our results. An improvement in one area adds up to more sales with little to no extra effort or investment. Though our telemarketer was doing a great job of identifying prospects and getting their email addresses, we were not happy with the number who came to our website and downloaded my book. I decided to have Nicole take a second stab at this list. She created a simple Sales Tempo consisting of sending the same prospects three emails spread out a few days apart. This one little step that takes Nicole maybe fifteen minutes a day is proving to double the number of sign-ups the telemarketer is getting on her own. This is a simple, yet powerful example of a solid single that will pay massive dividends. Each and every sales and marketing function and touch point must be tweaked to yield the highest results. Stop swinging for the catering fences and focus on these areas you can impact with ease. 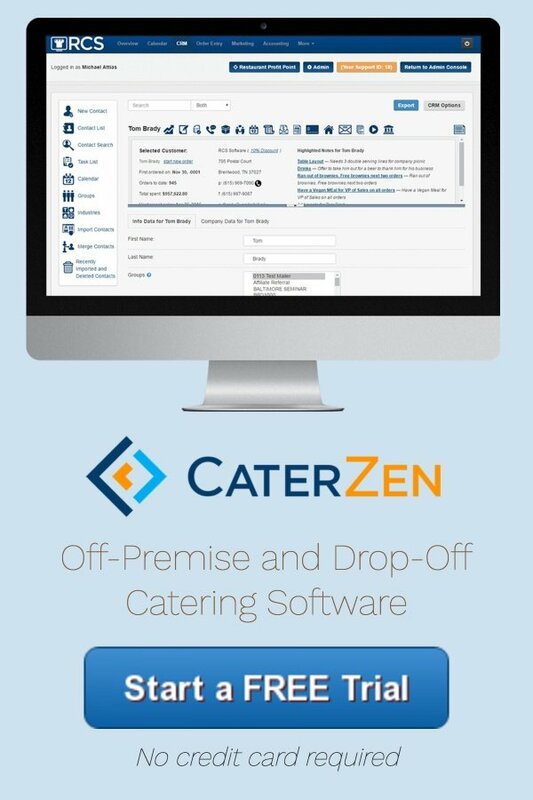 At Restaurant Catering Systems, we have built into our software a complete Sales Tempo to attract new, qualified catering decision makers. This is modeled off the manual labor system I developed at Corky’s to get 20-40% of our cold prospects to contact us for a complimentary catering tasting. We design three custom, full color postcards that get mailed out automatically for our clients in two week intervals. For a little over four bucks, direct mail is doing the prospecting heavy hitting. I have a client in Miami getting 25% of his Sales Tempo prospects to meet with him after the three postcards are mailed automatically; and this is BEFORE he even picks up the phone. With a system like this you would think people would flock to use it. No. We get push back. Many of our clients want to drop it to one postcard or totally eliminate all of the postcards. They let their fear of four bucks paralyze them into not even swinging to get to first base. At least test out the system. Tweak it if needed. Using direct mail to fill your catering tasting calendar is cheaper and easier than countless cold calls, untold cookies drops and praying your phone will ring. In my own business, I am constantly looking to find and fine tune the single and double opportunities. You get to the World Series of catering by focusing on these basics. What are you going to do today to improve your score in the catering ballpark?